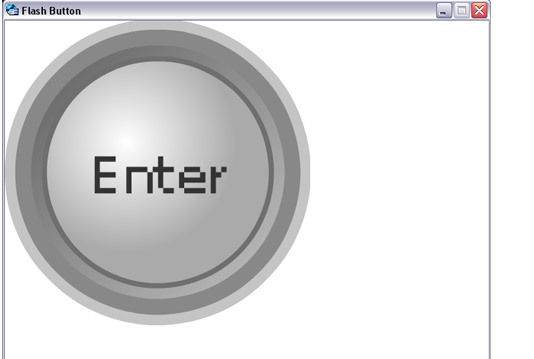 In this article, I will be discussing how to add a Flash button into your Menu Maker project. I will be using a button that is included in the Flash library. However, you will not need to own a copy or know how to use Flash to include a Flash button. There are many places online to download, create and customize your own buttons. Click Here to download the button that I will be using if you would like to follow along. Open Menu Maker and Create a New Project. The first step is to add the Flash button to the project. 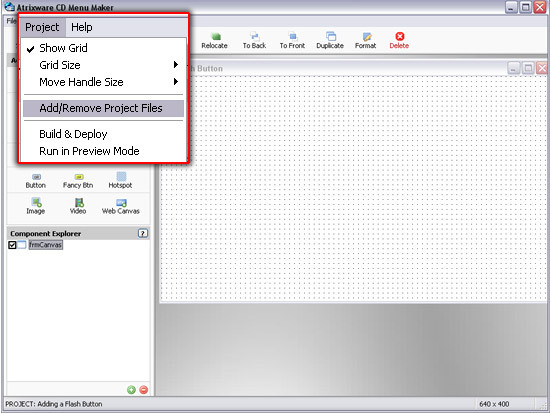 Click Project > Add/Remove Project Files in the Project Menu. 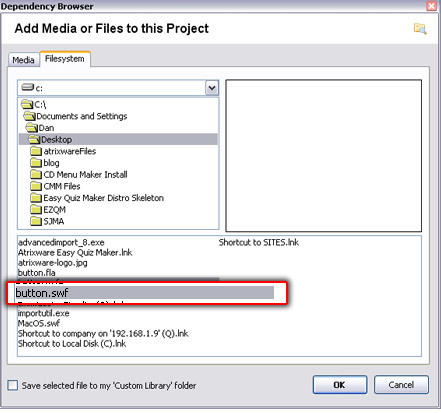 Click Add File or Resource and browse your file system to locate your button. Click OK then Done to return to the Design Environment. In the Add Components panel click the Video Component button, give it a name and click OK. Click Pick, select the Flash button, un-check the Show Control Button and click OK.
Click Preview in the Project Toolbar to make sure the Flash button appears. 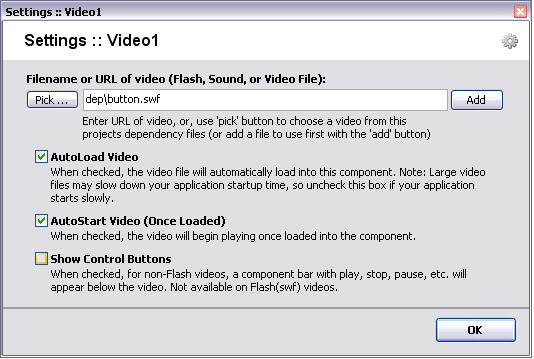 You will notice that the button takes on the size of the Video component. Close out the Preview window and return to the Design Environment. Resize the Video component by dragging the size handle or right clicking on it in the Component Explorer and selecting Advanced Properties. Once the component is sized appropriately, you can add Actions to the click event, duplicate the component etc. This entry was posted on Friday, May 16th, 2008 at 12:20 pm	and is filed under Atrixware 101, CD Menu Maker, Dan, Test Pro Menu Maker. Both comments and pings are currently closed.